See the highlights of Dhaka on a 5-hour tour of the Old City. Take in the colorful fresh markets and the bustling waterfront, and explore the historic Shankhari Bazar district, where you view architectural gems such as the Star Mosque (Tara Masjid). 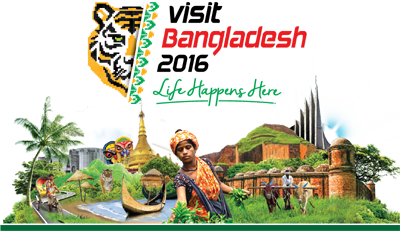 Your tour includes a rickshaw ride, lunch, transportation, entrance fees, and hotel pickup. *5-hour tour of the Old City of Dhaka. *Get a feel for daily life when visiting local markets and the waterfront. *See Hindu temples, an old church, and the Star Mosque while visiting the Shankhari Bazaar District. *Hop aboard a rickshaw for an intimate look at the Old City. *Includes lunch, entrance fees, transportation, and hotel pickup. After morning pickup at your hotel, head to the Kawran Bazar, a vegetable market that provides excellent people-watching and photo ops. Continue past a flower market and check out the maritime activity along the Sadarghat waterfront and Buriganga River. Your next destination is Ahsan Manzil, aka the Pink Palace, the residential palace of the Nawab family. Built in the 1800s, the palace now serves as a national museum. Discover one of the oldest areas of Old Town, the Shankhari Bazar, where you can see historic Hindu temples, an Armenian church that dates to the 18th century, and the stunning architecture of the Star Mosque. Your tour includes a ride in a rickshaw. Have lunch at a local restaurant that features Chinese, Indian, Thai, and Bengali cuisines. Your tour ends after five hours on Nazimuddin Road. Dhaka is a conservative Muslim city; it’s recommended that you dress modestly (no tank tops or short shorts). As this trip includes a visit to a mosque, both men and women should have a shirt with long sleeves. This is a child-friendly tour. Children under the age of 6 are permitted to join this tour. A maximum of 12 people per booking.